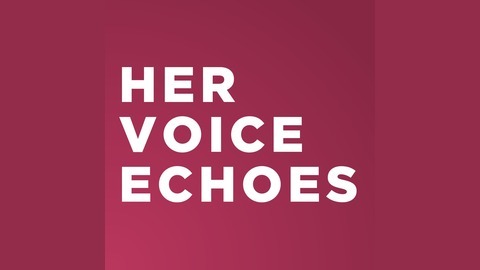 Her Voice Echoes presents women's history through letters, editorials, articles and other documents written by and, sometimes, about women. 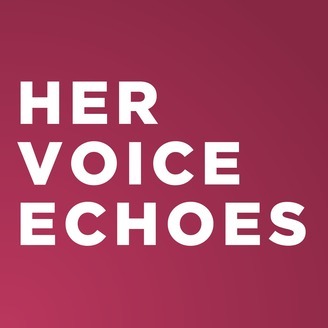 Our goal is to hear the voices of women across time, whether it's a court case from Plymouth Colony, a letter home from a daughter visiting London in the 1880s, or an email from a soldier in Iraq to her husband back home in the US. We hear the voices of women whose names you may know and from others who lived their lives in obscurity. We explore the big issues of the day and simple pleasures of lives well lived. Episode 014 includes chapters 36-40 of the book. Harriet is finally free from her miserable prison of the last seven years. She is living in the North initially in Boston and then upstate NY. In between, she spends time in England, where she gets a new perspective on race relations. She must contend with the constant threat of "recapture" by the Flints. Throughout, though, Harriet's militant spirit is ever present. The book was written to appeal to the white women of the North. It combines the genres of slave narrative and sentimental novel and focuses on the themes of family, motherhood, chastity and sexual oppression. It was considered bold and indelicate at the time it was written. Harriet doesn't dance around the topic of white men abusing black women. It was initially published as a serialized novel in a newspaper and then published as a book in 1861 under the pseudonym Linda Brent. Here are the names of the fictionalized characters and their real counterparts: Linda Brett: Harriet Jacobs William Brett: John Jacobs Harriet's father: Elijah Knox Harriet's mother: Delilah Horniblow Aunt Martha: Molly Horniblow Benny Sands: Joseph Sawyer Ellen Sands: Louisa Sawyer Ruth Nash: Margaret Horniblow Dr. Flint: Dr. James Norcom Mrs. Flint: Mary Curtis Norcom Emily Flint: Mary Matilda Norcom Mr. Sands: Samuel Tredwell Sawyer www.hervoiceechoes.com Click here (www.patreon.com/hervoiceechoes) if you'd like to support our podcast series. We appreciate your help. The image that accompanies this podcast is a copy of the Abolitionist paper, "The Liberator," published in Boston.